With over 25 years of winemaking, operations and viticultural experience, Kian Tavakoli brings a stellar combination of sensory and production skills to Greyscale Wines. 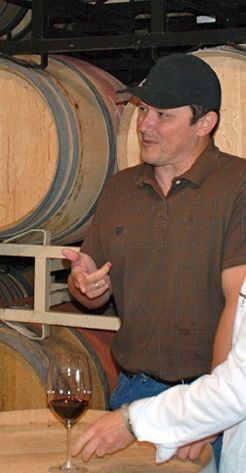 Having graduated with a degree in enology from UC Davis in 1992, Kian spent 4 years learning cabernet winemaking at Opus One before he became winemaker at Clos Du Val where he ran their red wine program including the highly acclaimed reserve bottlings. Kian's passion for Bordeaux style wines is the perfect complement to our Greyscale family wine philosophy. Kian is responsible for everything from vine to bottle -- leading his team in vineyard managment, harvest, crush, fermentation, blending, and aging. Copyright ©2010-2017 Greyscale Wines. All Rights reserved.